Zenith has always been one of the most innovative brands in the pantheon of Swiss watchmaking greats. To begin with, it was founded in 1865 by Georges Favre-Jacot to, for the first time, unite the varying cottage industries that littered the towns and hillsides of the Swiss Jura under one roof. 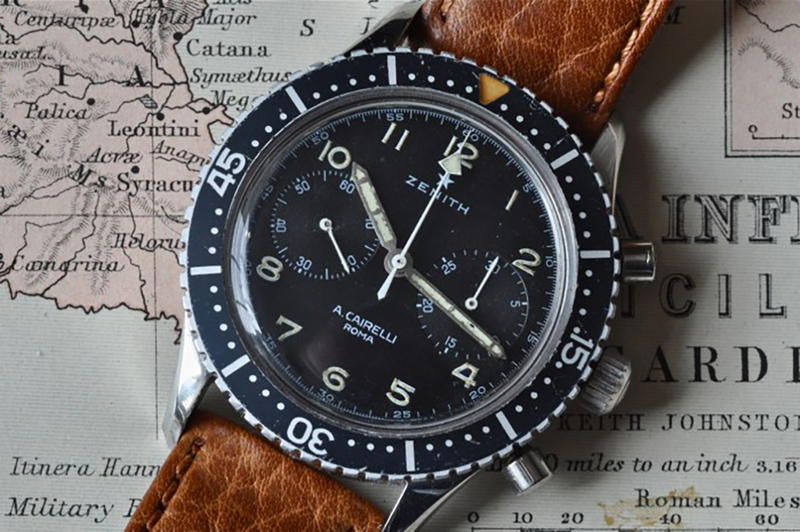 Zenith is also famed for, in most eyes, emerging victorious in the race to create the world’s first automatic chronograph — when, in 1969, it unveiled the El Primero, a dazzling, industry-leading chronograph. It was the first of its kind, being an integrated automatic chronograph, and boasted prestigious high-performance features such as a column wheel, lateral coupling and a fast-beat escapement. This movement was replete with staggering innovations — not the least of which was its 5Hz vibrational speed, where the super-fast escapement wheel had to be lubricated with a special in-house-developed paste as normal oils would not hold. Over recent years, it has continued to push forward in horological advancement. Most people don’t realize that Zenith is one of the very few brands that have achieved every major complication — from perpetual calendar to split-seconds chronograph, to tourbillon, to minute repeater, each time with an automatic 5Hz chronograph at its base. It is also the creator of the Christophe Colomb, the only watch that keeps its balance wheel perennially in the horizontal position, just like an ancient marine chronometer fitted with a gimbal. But Zenith has also had something of an up-and-down rollercoaster ride in the past decade. Languishing somewhat in obscurity after being sold to the LVMH group, it was then revived by impresario Thierry Nataf, who very intelligently created watches that opened the dial to show off the El Primero’s fast-beating balance wheel at the heart of the watch. But his leadership soon took the brand into rather outré and aesthetically overheated pastures while concurrently raising prices on watches. In 2009, he was replaced by Jean-Frédéric Dufour, formerly a product manager at Chopard, as recommended to LVMH CEO Bernard Arnault by Hublot’s Jean-Claude Biver. Dufour rapidly set about reintroducing a sense of renewed classicism in style as well as size, in keeping with the prevailing trends of the post-financial-crisis world. He also began reducing prices. The result was Zenith found renewed traction, in particular, with the Northern Asian market that liked the brand’s understated looks and in-house content. But as with the rest of the watch industry, Zenith was badly hit by the abrupt halt in mainland Chinese watch consumption. Dufour has since left to assume the incredibly prestigious role as Rolex’s CEO. In his place is Aldo Magada, another man handpicked by Jean-Claude Biver. 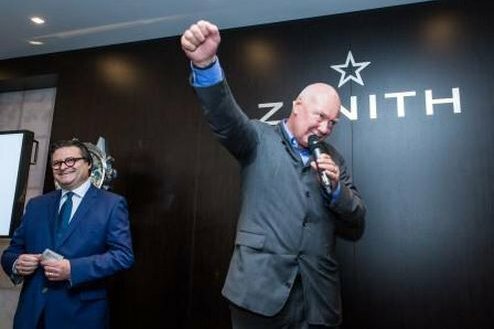 Magada finds himself undertaking one of the greatest challenges in the watch industry, engineering a renewed relevance for Zenith for existing watch customers and just as importantly, connecting with the younger demographic and the general lifestyle client that has not yet been converted to the luxury-watch world. 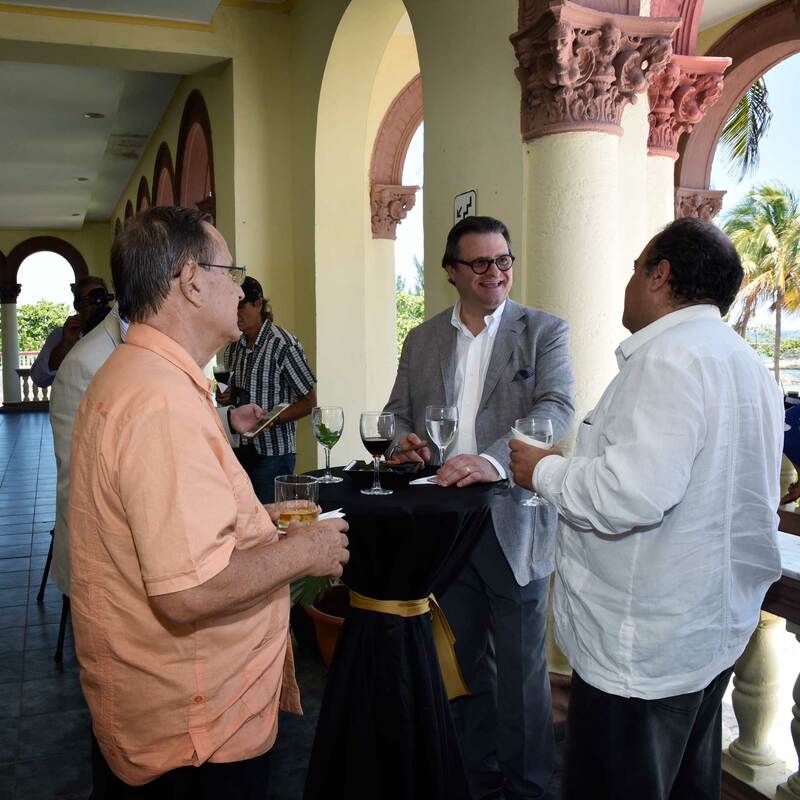 In a conversation with him in Habana, Cuba during the launch of his new collaboration with the legendary Cohiba cigar brand, I became resoundingly confident that he is making all the right moves. In terms of lifestyle relevance, he’s partnered with Cohiba, a brand that commands the greatest brand loyalty in the cigar world, as well as Land Rover, and is working also on uniting forces with the hottest motorcycle brand on the planet, Triumph. 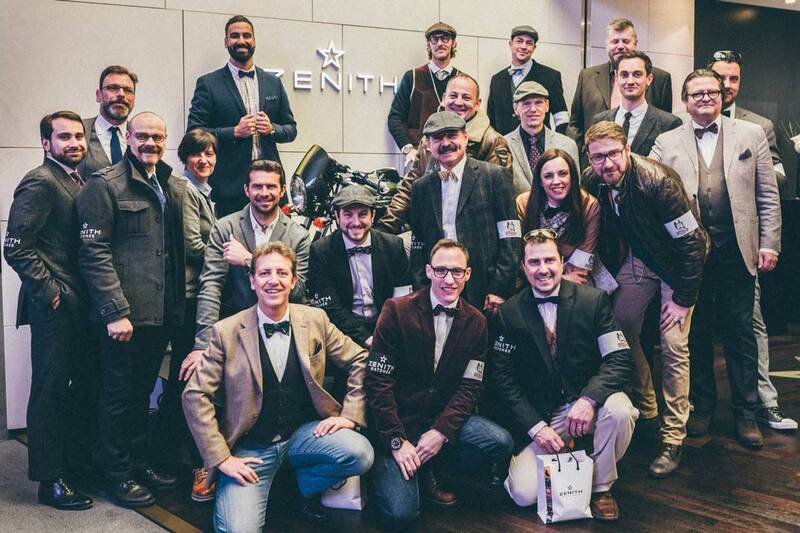 He is also sponsoring the Distinguished Gentleman’s Ride, a global phenomenon that paved the way for the return of sartorial and vintage motorcycle culture and that raises money for prostate-cancer awareness and prevention. Finally, he offered two technical exclusives to Revolution: the first that Zenith is working on a 1/100th-of-a-second chronograph, to be priced not significantly more than a standard El Primero. Listen to Jean-Claude Biver talk about this here. Second, that he has reduced the size of the Christophe Colomb by 70 percent, making this high-complication incredibly wearable. What is the reason for the crisis that the watch industry is in now, and how can we get out of it? I think the crisis we are experiencing is older than most people perceive. Collectively, we need to find a way to interest people in watches again. The first thing is that products need to demonstrate value. I think, in general, over the years, we’ve increased our prices too much. To a level where there was no more value there. Remember anytime someone buys a watch, that means he is not buying something else. That something else could be an important holiday, a motorcycle or a car. But that something else might offer more perceived value to him. We have to win that fight. So we need to come back to value. The second thing is watches need to have real meaning to the modern customer. And in general, the entire industry has not done a good job of this because in the past years, it was too easy. And people thought that was the way it was, but it was not. They thought the good times would continue forever but they did not. So we have to recognize both of these things and work on it. We have to go back to basics and work on the product, and we have to bring great product to the people. My personal analysis is that luxury used to be really incredible products made by family businesses. Then these businesses were purchased by big groups whose focus was on increasing the strength of the brands. So they worked on bringing the image of the brand up and forgot a little bit about the product. 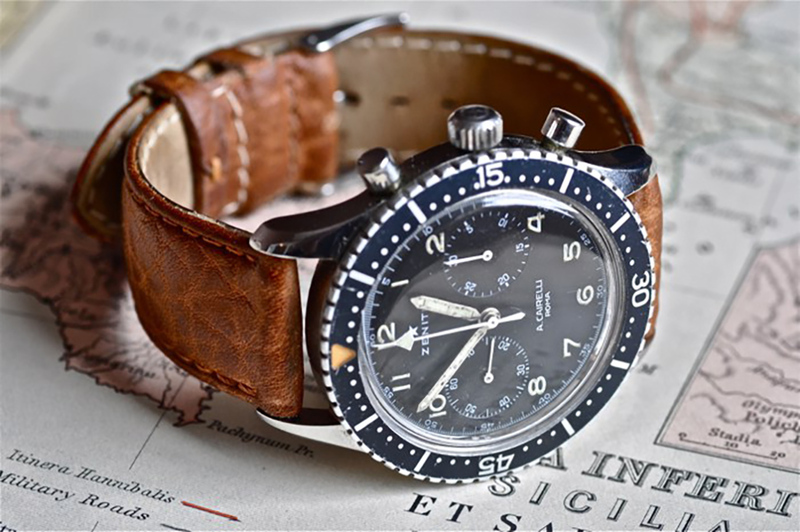 Why are people buying so many vintage watches today? The product was better in the past. Then you had the emergence of brands like H&M and Zara, which create product that is decent, stylish and one tenth of the price of the luxury equivalent. So people really began to ask what’s the attraction to the luxury product. So we need to start thinking less about the image of the brand and focus on the quality of the product. Because the era of mindless consumption is over. And the beauty of the product and value need to both strongly exist today. OK, so for the watch to work today, it not only needs to have value and real content but also relevance. 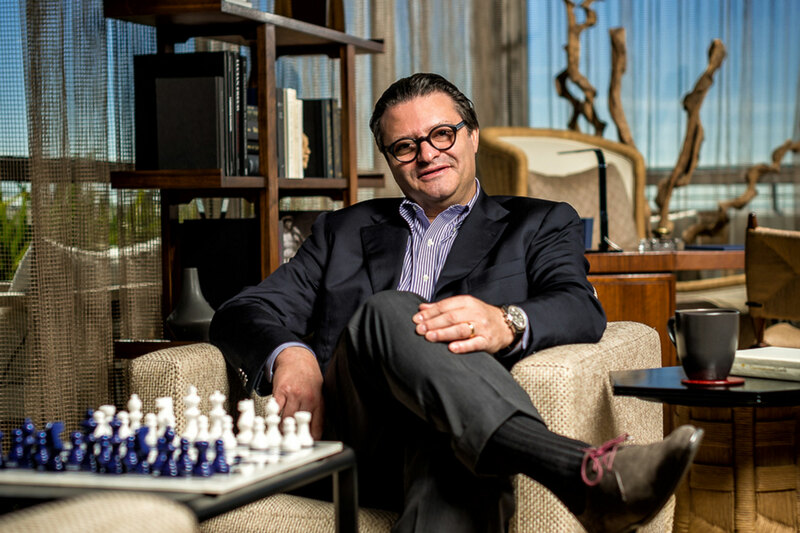 We’ve seen this work for brands like Hublot, who is succeeding because it connects with the modern consumer. 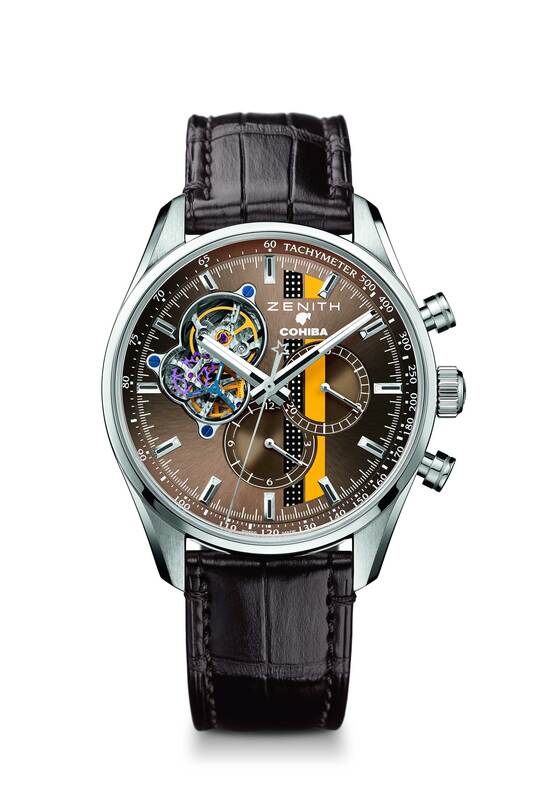 How does Zenith reach beyond the traditional watch buyer to new consumers? Through initiatives like partnering with Cohiba to celebrate its 50th anniversary, or partnering with Mark Hawwa and the Distinguished Gentleman’s Ride. Each opens new universes for us. They are both related to the resurgence of gentlemanly culture, and I use the word ‘gentleman’ without gender bias. It is always a challenge to connect a technical product to a world of passion. But the cigar world is built entirely on passion. It is a product that is born out of passion and the capacity to create something extraordinary from the simplest natural ingredients. It is an honest expression of the terrior of the Vuelta Abajo in Cuba, in the same way wine is an expression of the terrior of Burgundy. The cigar world is about friendship. Cigars are often shared and smoked together in groups and it’s about mutual pleasure. It is the perfect place to spread the passion for our watches. Similarly, the aspects of gentlemanly culture, such as the Bullfrog barbershop we had at our booth at Baselworld, are important. It is interesting because it is really the young people that have propelled the return of this tradition of the barbershop as a gathering place. The younger generation has re-embraced the idea of slowing time down and taking 20 minutes entirely for yourself. There is a nice parallel to the world of cigar smoking, where you shut yourself away from the external world and you immerse yourself in the pleasure of the moment for one hour or more. And it is interesting in both these instances: time has become redefined. It is not about chasing time and constantly checking your mobile phone. Rather, it is about returning to traditional values and enjoying a moment, and here, I think the mechanical watch — especially the chronograph — fits perfectly. It’s the same thing with the classic-car world. More and more, you see different generations of enthusiasts, you see ladies and younger people. Here, you have the passion for design, for performance, and it is also the perfect place for the mechanical watch to find an audience. It’s incredibly important that this audience feels emotionally attached to Zenith, correct? One thing that is very important is to give the customer a sense of ownership over a watch — he should feel as if that is his product. It was created specifically with him in mind. I really see the renaissance for traditional gentleman’s culture, which has been very well expressed by your magazine, The Rake, and it is a culture that really celebrates genuine, authentic things, and also things that allow a certain personalization, like a bespoke suit or a custom motorcycle. And our watches need to follow these customers in their worlds. 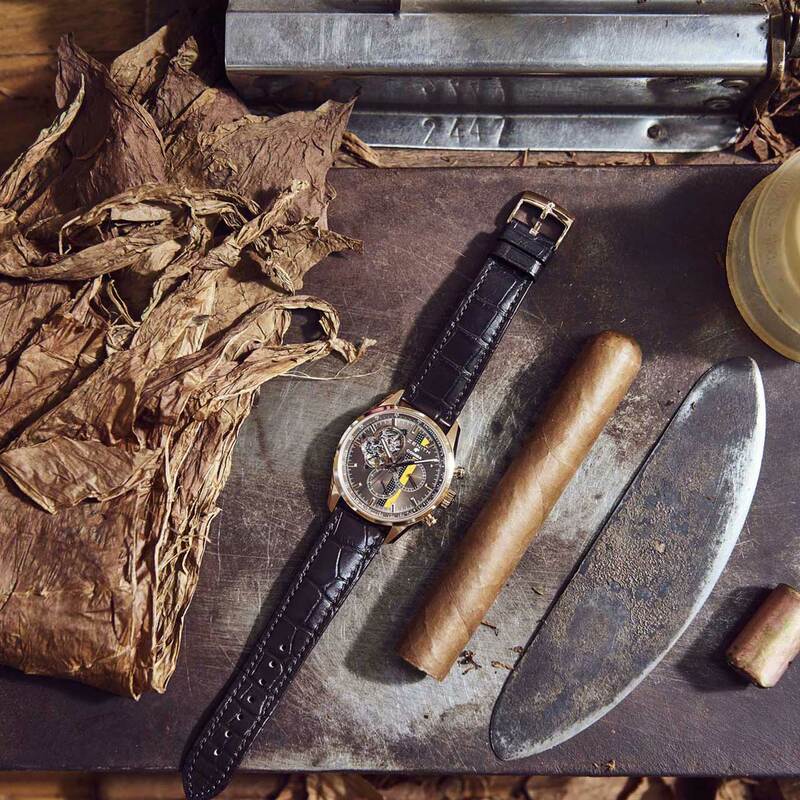 There is a nice parallel between the watchmaking and the cigar industries. The farmers in Jura, near Le Locle where you are based, started working on watches because the winters were so challenging and they had to find something else to do than farm. In some way, their terrain defined them. 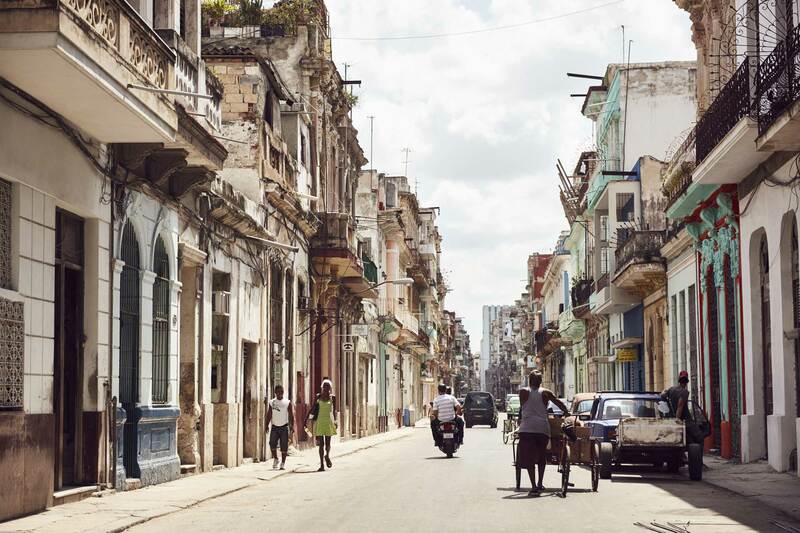 In Cuba, you also have a culture where the terrain defined its people. It is hot and humid, but it is the place that grows the best tobacco in the world. Would you agree? Absolutely. 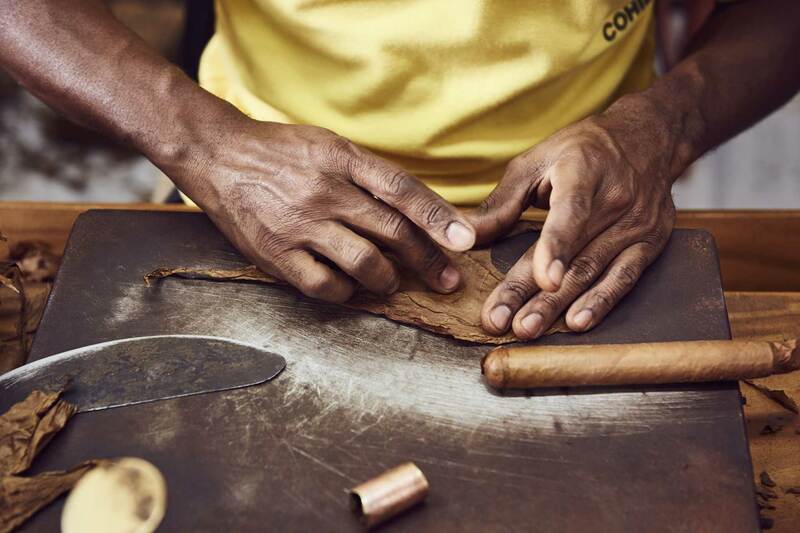 Through the savoir faire and ingenuity of the Cuban people, a world-leading industry emerged for cigars, as it did for watches in Switzerland. When you have supposedly nothing, if your people are talented, they will make something out of what is apparently nothing. 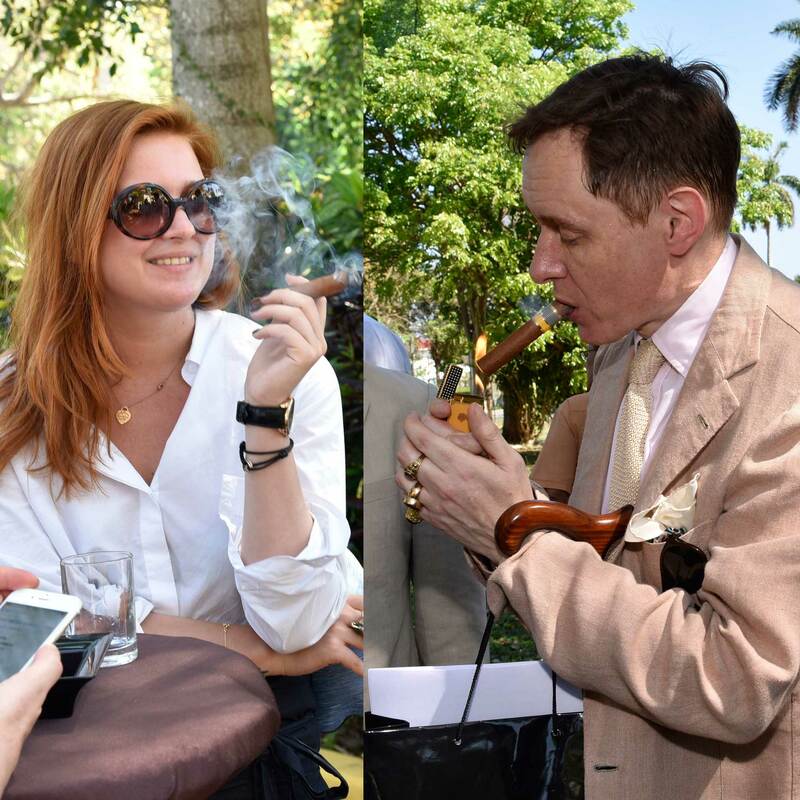 And of all cigar brands, the story of Cohiba, which was created by Castro based on a cigar his bodyguard was smoking and became a symbol of Cuban excellence, is the greatest, no? The mythology of Cohiba is amazing. And we are very lucky to have our partnership with them. You know, I was in a museum in Belgrade and I looked through a show window, and in it was a genuine box of Cohiba cigars as a state gift from Castro to Tito. Cohiba has been a true part of global history. But what is so magical about Cohiba is the quality. It is ineffable. It is to cigars what Romanée-Conti is to wine. Both are able to extract and create something transcendent from something so basic like leaves or grapes. 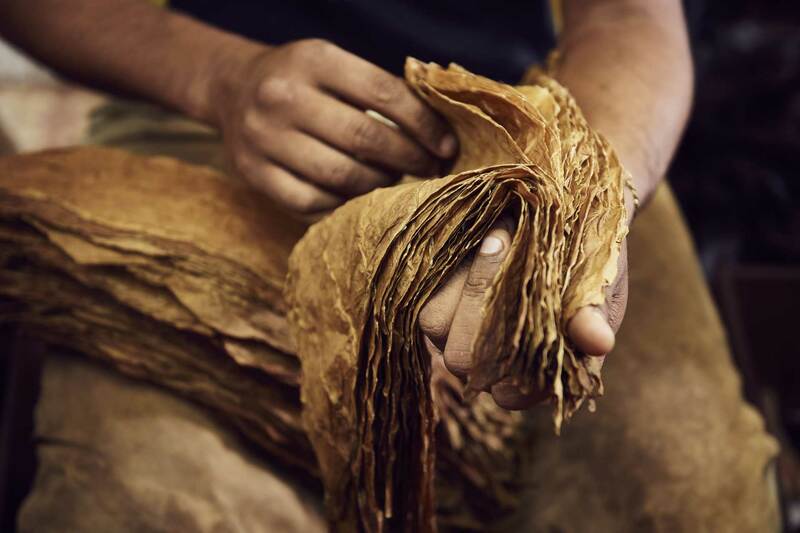 For Cohiba, there is a special fermentation process that breaks down the acidity and creates more complexity. It is like the grand cru of wine. And what is incredible is that the first time you taste a Cohiba, say a Siglo VI, even if you are not a connoisseur, you know you are tasting something special. So it all started with an email from Jean-Claude Biver to Ricardo Guadalupe, Guy Sémon and myself, saying that he had a friend who knew the vice president of Habanos, based in Madrid, and that they were looking for some partnership with a watch brand for the 50th anniversary of a cigar brand; they didn’t at this point say it was Cohiba. Ricardo very wisely said that he already had a great partnership with Arturo Fuentes. So I voiced my interest. I met with Javier Terres, the man from Habanos; we had a lovely dinner where we smoked cigars and then he told me he was looking for a partner for the 50th anniversary of Cohiba. For me, it was incredible — this is THE flagship brand in the world of cigars. And in some ways, it was the perfectly compatible brand. Our manufacture was created by the founder of Zenith, Georges Favre-Jacot, to be the first integrated modern factory uniting all the disciplines for watchmaking under one roof. Cohiba was created by Castro to be the symbol of modern Cuba and the very best it could produce, which is why the famous label of the brand is so contemporary looking. What are the other parallels between Cohiba and Zenith? What I love about Cohiba is that they are the most innovative cigar brand in the world. They are constantly searching for new models, new shapes, new ways of rolling cigars. 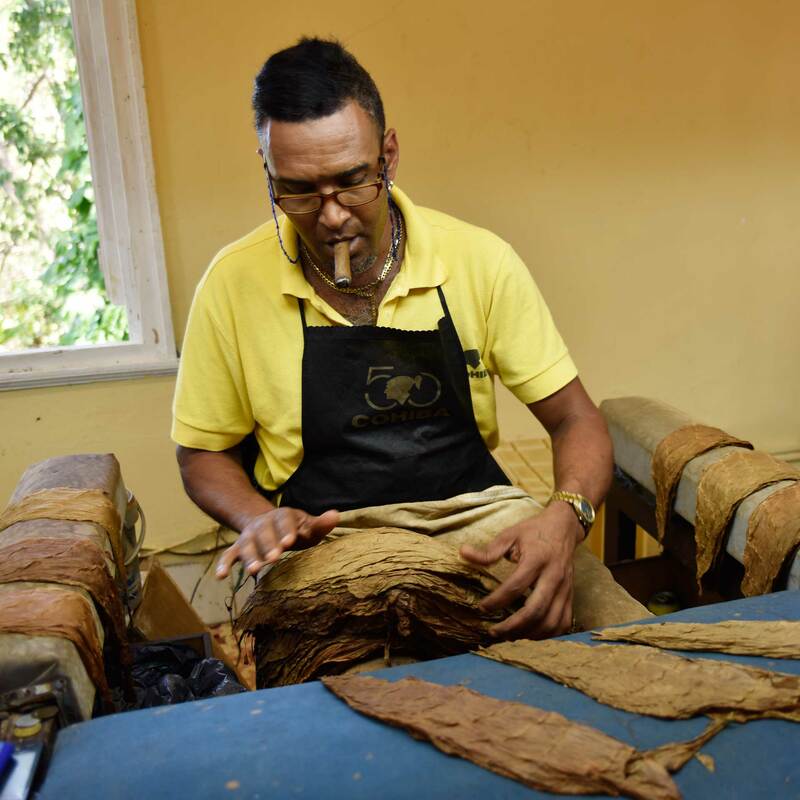 When they asked famed roller Norman Fernandez to create a new line of cigars for the brand’s 40th anniversary, and she created the Behike by adding a fourth type of leaf — the Medio Tiempo — to the filler of the cigar, this was a revolution. Try to find any Behike today on the market — they are sold out everywhere because they are just that good. Similarly, at Zenith, we try to respect tradition by innovating. When we created the El Primero in 1969 as the world’s first automatic integrated chronograph, and the first chronograph at 5Hz, it was a revolution. 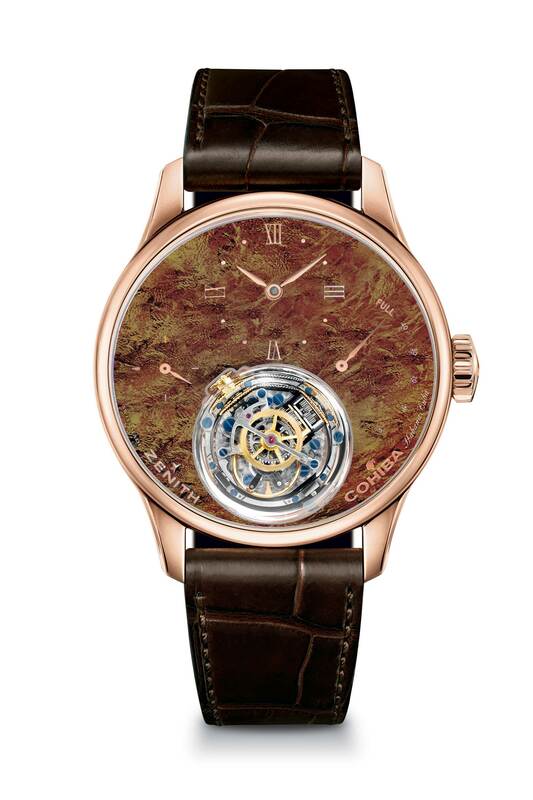 When we created the Christophe Colomb, a watch with a balance wheel that always stays horizontal, like in an ancient marine chronometer, it was a revolution. We are working on something for next year that is equally revolutionary. Is this the 1/100th-of-a-second chronograph Jean-Claude Biver mentioned in his interview with me? We are working on this at the moment. That’s all I can say, Wei. But I can tell you that Jean-Claude wanted a movement that will allow us to produce a watch that is as affordable as possible. Perhaps not as cheap as the entry-level El Primero, but not far off either. A real value proposition. Is it true TAG Heuer’s Guy Sémon is working on this? Yes, in this project, we are definitely also using the capability of TAG Heuer and Guy Sémon. TAG Heuer’s 1/100th-of-a-second chronographs use two oscillators: will it be the same here? So we have one project with Guy that uses two barrels and two escapements. But we also have another project that uses just one barrel for the same result. But that will definitely not be ready for next year. Anything else you’re working on for next year? We are also working on something in our haute horlogerie [line], which is a new Christophe Colomb that is 70 percent smaller than the current one. This is probably at the limit of what a watchmaker can assemble. I think this is representative of what people want today. They still want ingenuity, they still want innovation, but in a more-discreet, classic package and in a watch that is meaningful to them. The Cairelli will be launched in October this year and it fits exactly what I was talking about earlier in terms of having meaning to the modern consumer, in terms of making him feel like this watch was created for him. This watch, which is one of our most iconic from the ’60s, was originally created for the Aeronautica Militare Italiana. Two thousand and five hundred watches were produced but some of the pieces were sold to the civilian market by the famous retailer A. Cairelli in Rome. These are amongst the hottest and most sought after of our vintage watches and so, of course, we want to use this legacy to create a modern interpretation of the watch. To me, this watch speaks to the customer that likes vintage cars, or vintage motorcycles, or is part of the tailoring culture. It has that appeal. It has content, it has value and it has meaning and relevance. Note: Mr. Aldo Magada’s portrait on the top of the article was taken by photographer, Nick Garcia.